We’d love your help. 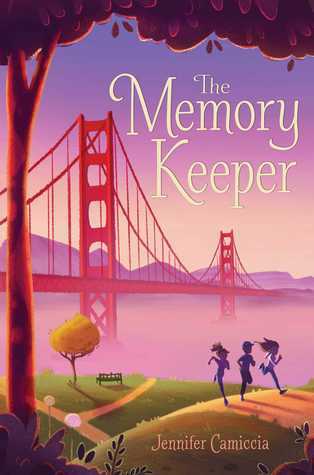 Let us know what’s wrong with this preview of The Memory Keeper by Jennifer Camiccia. Fish in a Tree meets The Thing About Jellyfish in this heartfelt middle grade debut about long-buried secrets, the power of memory, and the bond between a girl and her gram. All Lulu Carter wants is to be seen. But her parents are lost in their own worlds, and Lulu has learned the hard way that having something as rare as HSAM—the ability to remember almost every single mom Fish in a Tree meets The Thing About Jellyfish in this heartfelt middle grade debut about long-buried secrets, the power of memory, and the bond between a girl and her gram. All Lulu Carter wants is to be seen. But her parents are lost in their own worlds, and Lulu has learned the hard way that having something as rare as HSAM—the ability to remember almost every single moment in her life—won’t make you popular in school. At least Lulu has Gram, who knows the truth about Lulu’s memory and loves her all the more for it. But Gram has started becoming absentminded, and the more lost she gets, the more she depends on Lulu…until Lulu realizes her memory holds the very key to fixing Gram’s forgetfulness. Once Lulu learns that trauma can cause amnesia, all she needs to do to cure Gram is hunt down that one painful moment in Gram’s life. To ask other readers questions about The Memory Keeper, please sign up.